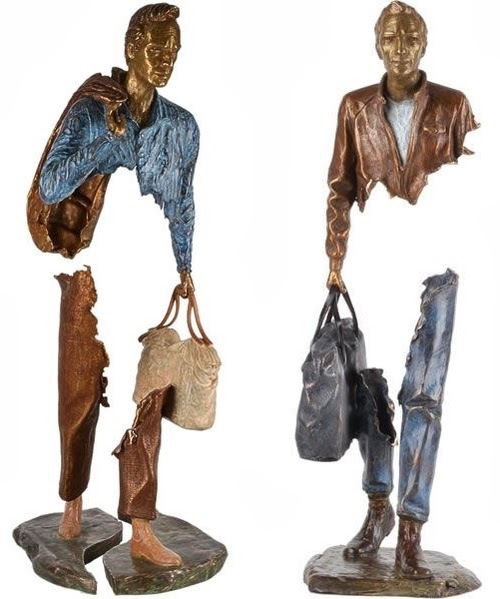 Bronze Sculptures that have parts missing and almost seem as they shouldn't be able to stand up as in most case the middle section is missing. 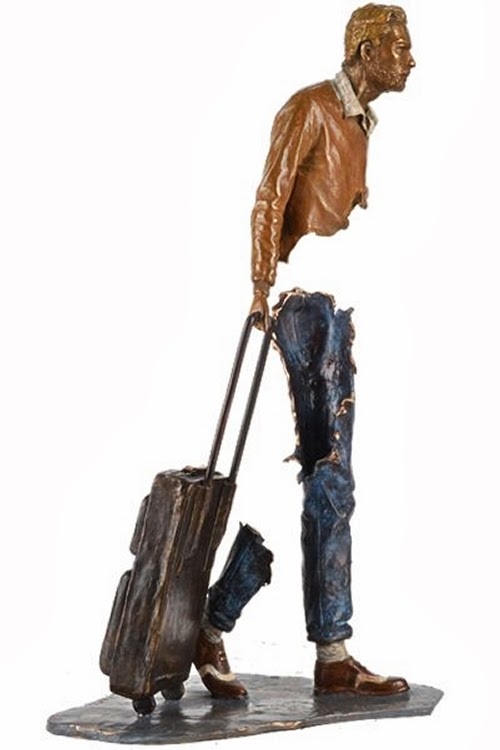 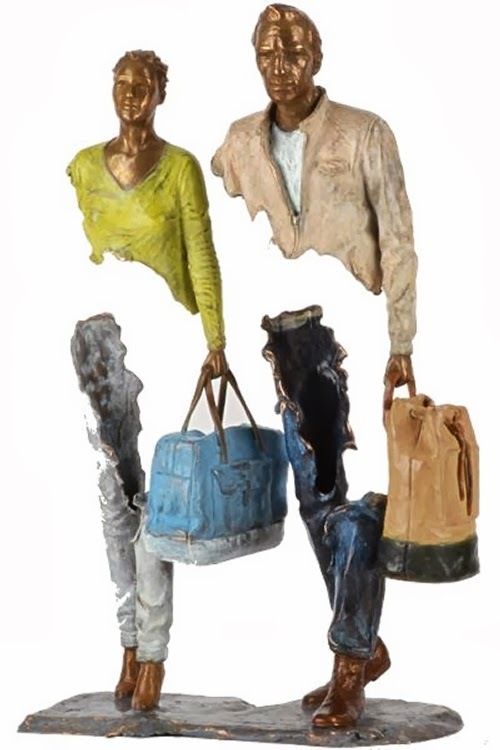 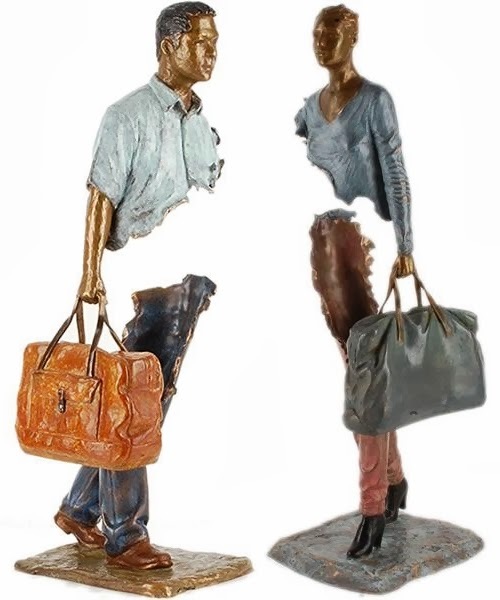 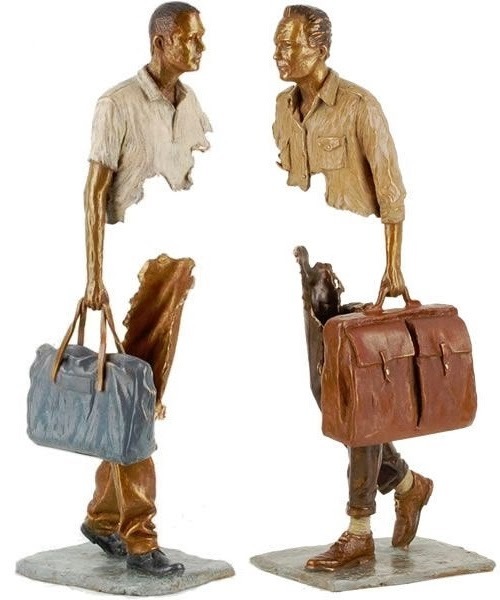 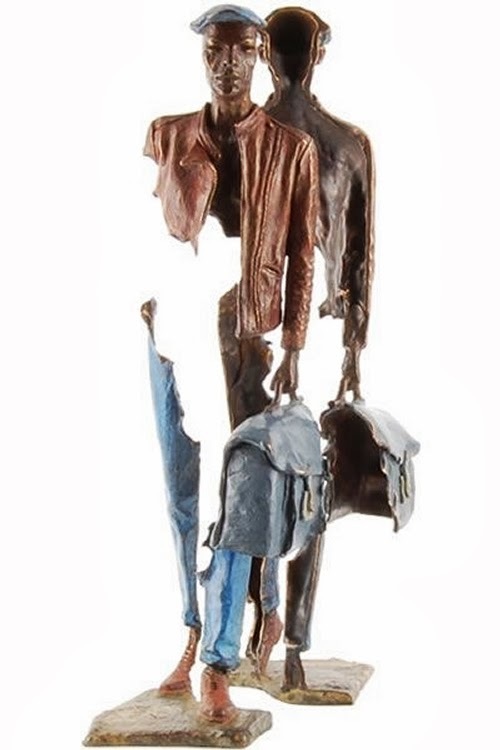 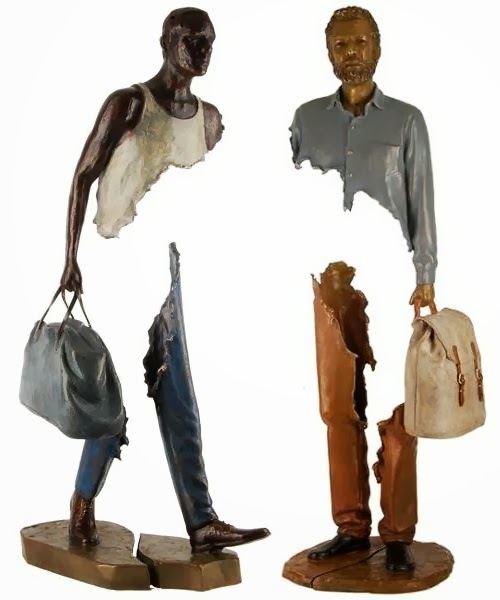 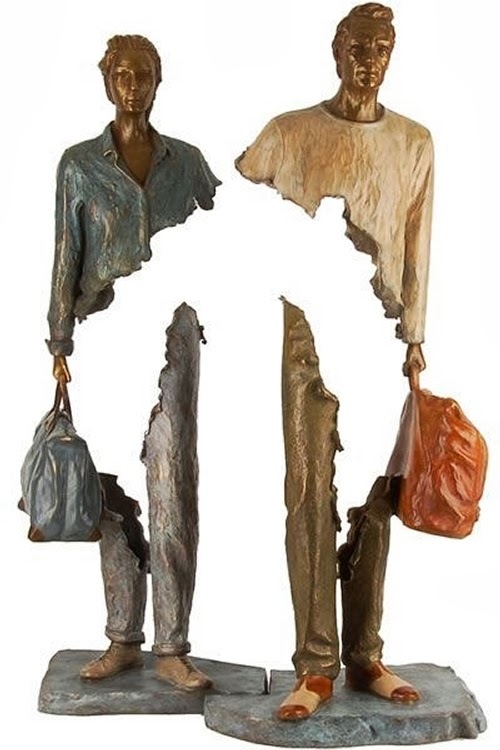 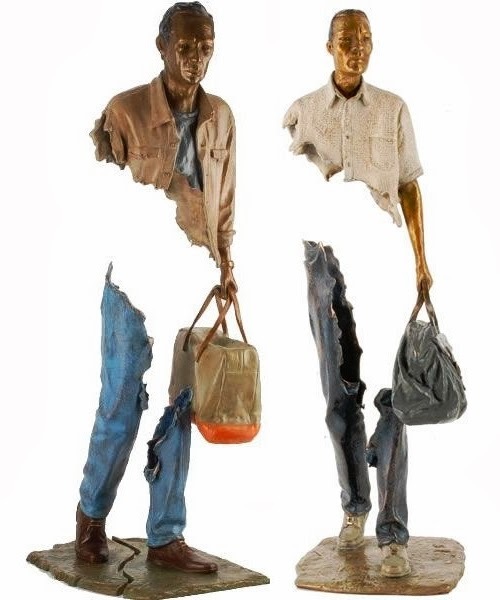 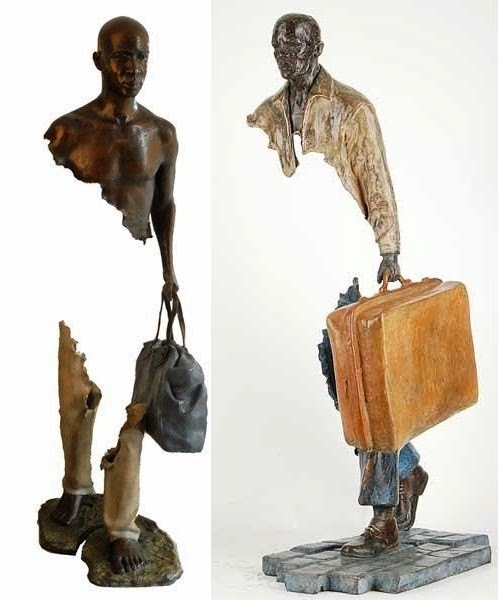 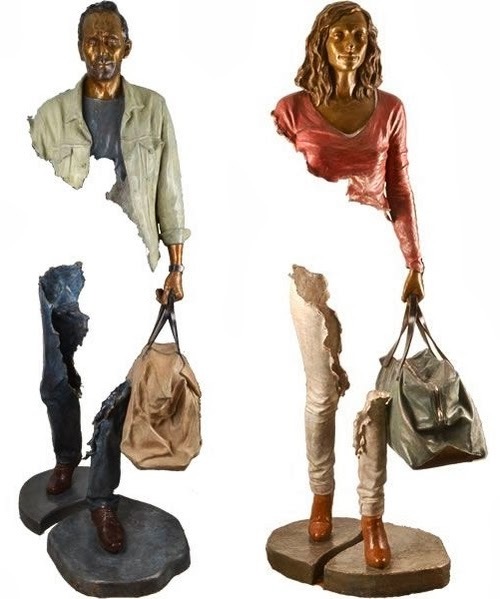 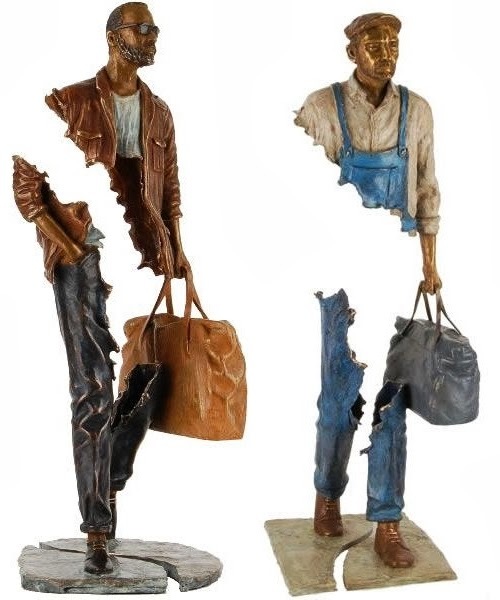 French Artist Bruno Catalano, with a background in sculpting, aims to capture his audiences attention with his work. 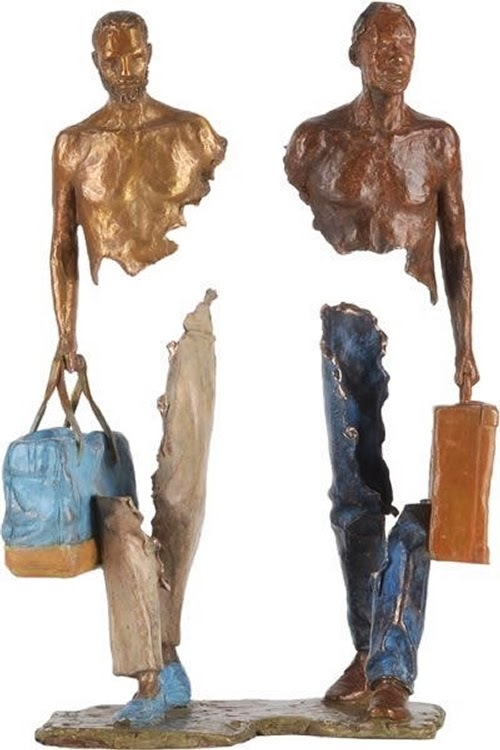 The work is called "Les Voyageurs" (The Travellers). 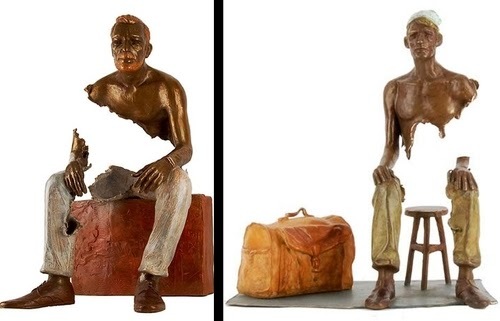 We have doubled up on some of the sculptures because of space constraints, for full size please refer to artist's original.